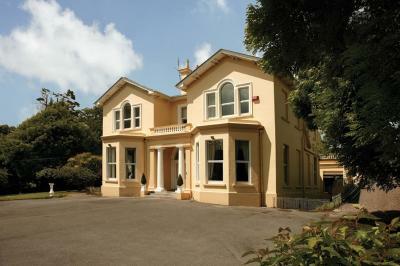 Knockeven House is set in peaceful surroundings, 1.2 miles outside the coastal town of Cobh. Free WiFi access is available. 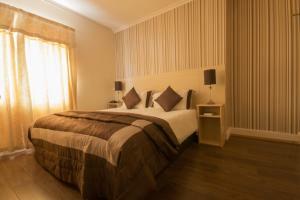 The spacious rooms at Knockeven House are individually decorated, and feature en suite bathroom facilities. At Knockeven House you will find a garden. Other facilities offered include a shared lounge. The property offers free parking. The bed and breakfast is 1.1 miles from Cathedral of St. Colman and 3.3 miles from Whitegates Oil Refinery. Cork Airport is 7.5 miles away. Rushbrooke Railway Station is a mere 6-minute walk from the property. The WatersEdge Hotel is nestled in the heart of the historic town of Cobh. The spacious rooms are equipped to the highest standard and most have sea views. The restaurant, Jacob's Ladder, is renowned for its seafood, steaks and local produce. From the hotel, you can enjoy the closeness to the world's famous cruise ships that go by regularly outside the hotel. There are also many spectacular sites to visit, including Cobh Heritage Centre, St. Colman's Cathedral and Fota House, Gardens and Wildlife Park. 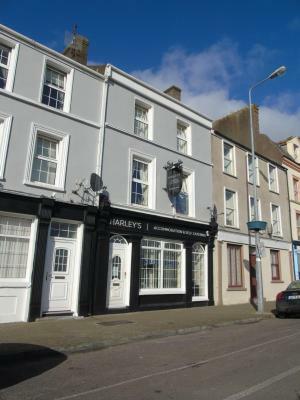 Harley's Guest House is a friendly family-run bed and breakfast in County Cork. 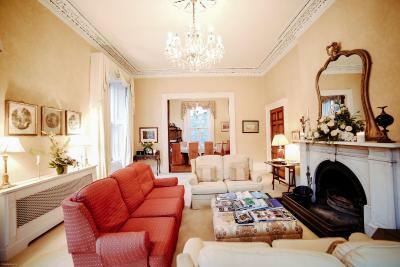 A 2-minute walk from the historic town centre of Cobh and 8 miles (12.9km) from Cork City. All rooms are clean and comfortable, with en suite bathrooms. 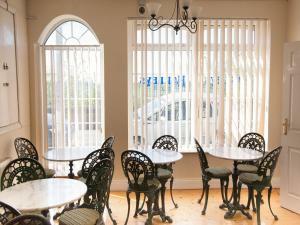 Some of the rooms have striking views of Cobh Harbour and Spike Island. Room service, breakfast and dry cleaning are available. Local activities include fishing, horse riding and sailing. The guest house is on the Titanic Trail, an historic route charting the last port of call by HMS Titanic. 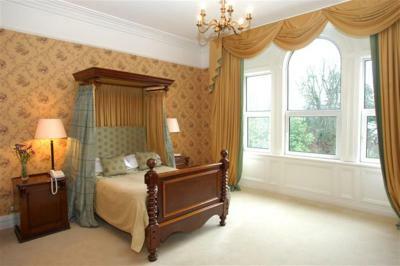 Enjoying beautiful harbour views, Robin Hill House BnB in Cobh offers high-quality accommodation in a tranquil setting. Formerly a 19th-century rectory, with a range of complementary medicine treatments available, Robin Hill House BnB provides free Wi-Fi and free parking. 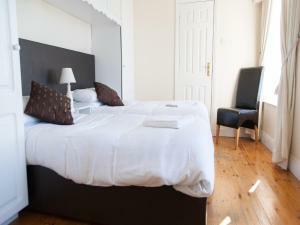 All rooms include a flat-screen TV, wardrobe, iPod dock and tea and coffee facilities. 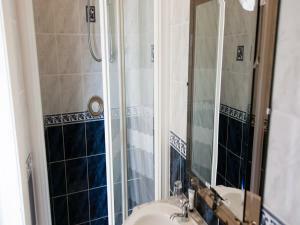 The en suite bathroom has a shower, hairdryer, bathrobes and complimentary toiletries. The One-Bedroom Chalet is pet-friendly. Robin Hill House BnB provides a variety of breakfast options for an additional cost, including continental, full Irish and breakfast in a bag. The property has beautiful mature gardens for guests to enjoy. The centre of Cork city is around 30 minutes’ drive away, with attractions including the Everyman Palace Theatre and Cork Opera House. The Cork English Market is a popular covered food market around 25 minutes from Robin Hill House B&B. The historic maritime town of Cobh is a 5-minute walk away, offering harbour and island tours, and the Titanic experience and Heritage Centre. One of Ireland’s oldest purpose-built hotels, The Commodore Hotel overlooks Cobh Harbour. It offers affordable spacious rooms, a restaurant serving gourmet food, free Wi-Fi in public areas. Rooms at The Commodore all feature elegant bathrooms with hairdryers. They also include TVs, tea/coffee making facilities and many have sea views. The hotel's restaurant overlooks Cobh Harbour and specialises in traditional Irish and Mediterranean cuisine using local ingredients. The bar offers more casual dining and entertainment, including live music. 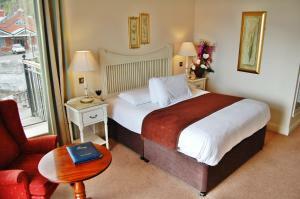 Situated on the seafront, The Commodore is within 350 yards of the Cobh Heritage Centre and the Lusitania Memorial. Cork International Airport and the city centre are a 30-minute drive away and Blarney Castle is just 40 minutes’ away. 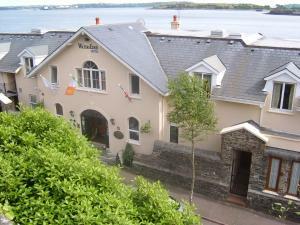 In the town of Cobh, The Bella Vista Hotel overlooks Cork Harbour. 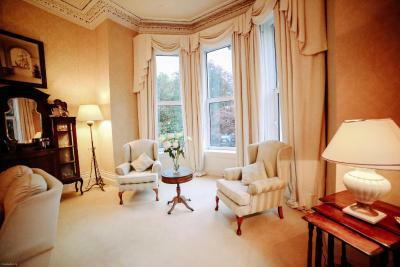 This luxurious Victorian villa offers modern rooms with free Wi-Fi, a traditional Irish Bar, restaurant and free parking. Bedrooms at The Bella Vista Hotel and Self Catering Suites feature satellite TV and tea/coffee-making facilities. Bathrooms have baths and showers and most rooms have harbor views. The award-winning Continental Restaurant has ocean views and serves European and Chinese food. The cozy Full Rustic Bar offers Guinness, a fine selection of whiskeys and open fires. 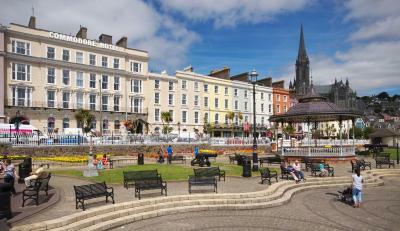 Central Cobh is just a 5-minute walk away and fishing is available at the harbor. There are around 30 golf courses within a 30-minute drive.